Does Bull City do a Christmas sale? Wasn’t vaping this time last year so not sure. I know their Thanksgiving sale was announced the night before. I got 22 flavors in my cart waiting! I can’t remember either, too many vendors and sales lol but I think they were doing a new years (day) sale, not xmas. Bull Cities response over on VU, after being asked about a Christmas or upcoming sale. 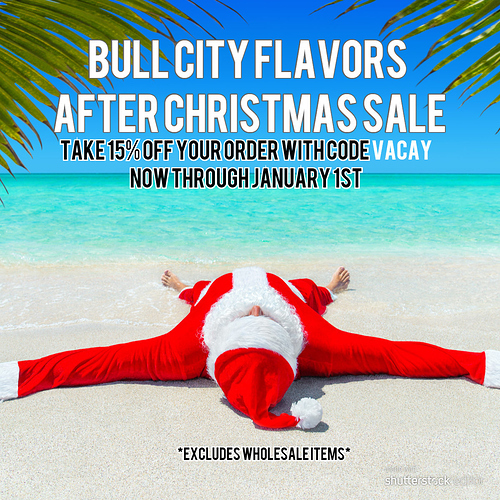 We’re going to have a sale after Christmas. Yeah, that was me with the Topside… Can’t afford one ATM, but I figured folks would still be interested. It does but I keep on adding flavors! Thank you! $4.95/ea is the cheapest I’ve ever seen them!! My Bull City order just went into shipped status. Man, that was quick. So did mine. They don’t mess around. 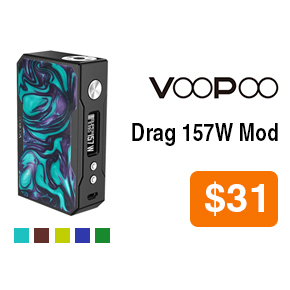 I’ve heard a lot of good things about this mod and for this price it’s a no brainer. 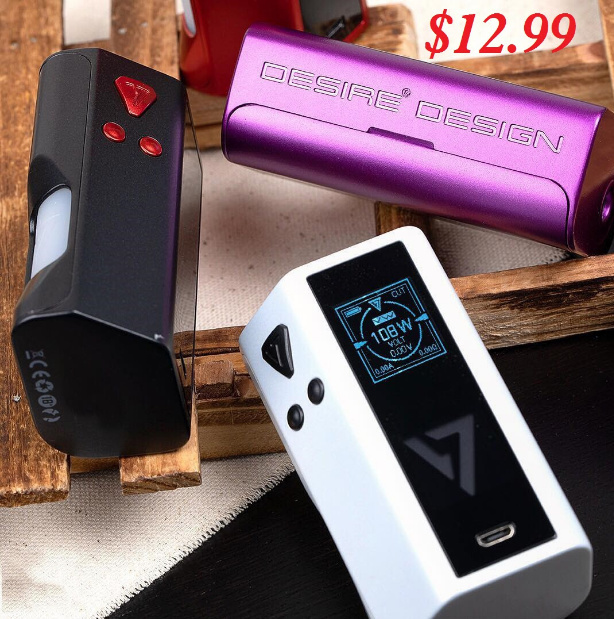 Mini Rda’s - 75 cents. New year, new threads! Post all the great deals and coupons you find here!